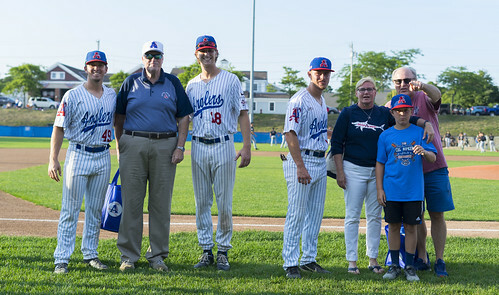 Would you like to be an integral part of the Chatham Anglers Organization by becoming a Chatham Anglers host family? To learn more about this exciting opportunity please contact the Anglers Housing Coordinator, Sue Thomas at madison.2@comcast.net or at 774-836-0112. The Cape Cod Baseball League is the premier NCAA summer collegiate baseball league and Chatham always brings in some of the best college players from across the country. There are many rewards to becoming a host family, including invitations to Organization events such as our season opening player introduction BBQ, our in-season Meet the Players Lunch, and our season ending on-field Host Family appreciation night. You will also receive a $75/week/per player stipend for hosting Angler player(s). The players arrive in early June and depart at the latest by mid-August. While we prefer you host for the entire season, partial season host options are available. While there is no requirement to provide players with food (we feed them after every game), most host families do have cereal, sandwich meats, etc. at home for the players to snack on. The players have limited free time while in Chatham, but when time permits they enjoy sharing your TV and being included in family outings. Taking two players is usually beneficial for the host family-player interaction. We stress to the players upon their arrival that they be kind, respectful and honest with their host families and we fully expect them to abide by our organization’s rules and requirements which are spelled out to the players upon their arrival and which we will provide to you. Our players come from colleges and universities from across the country. They have worked very hard for many years to reach this point in their baseball development and they will be very appreciative of your opening your home and your heart to them as they take this very important next step in their baseball careers.